The sastras make it clear that taking shelter of a spiritual master is fundamental to the process of krsna consciousness. But what is a guru, and what does it mean to take shelter of a guru? Although seemingly simple questions, there are nuances that not all may be aware of, and particulars that relate to the unique circumstances of the guru and disciple within ISKCON. I could write much on this important topic, and this newsletter is just a brief summary. Because of the depth of the topic, I am dividing this newsletter into several parts (each part will come out in successive newsletters). I hope this newsletter will be of benefit to all: those who are looking for a diksha or siksha guru, those who have a guru, and those who are, or may be taking, the role of guru (either diksha or siksha) in the future. Srila Prabhupada wanted all his disciples to become gurus. Since everyone who comes to Iskcon is a siksha disciple of Srila Prabhupada, this means he is asking everyone of us to be guru. Most devotees feel unqualified to be guru, and thus have difficulty understanding this instruction. Whenever you help another person, especially one junior to you in Krsna consciousness, you are acting as a guru. Guru means instructor, teacher, or one who shows the path. If you know more than someone else does, you can help him take the next step in Krsna consciousness. In this broad sense, you are his teacher, or guru. Before discussing the differences and similarities between the diksha and siksha guru, it is essential to understand that Srila Prabhupada is everyone’s foundational siksha guru. Those who begin practicing Krsna consciousness connect with Srila Prabhupada as their siksha guru before they think about taking a diksha guru. Anyone can have as intimate a relationship with Srila Prabhupada as his initiated disciples since he is personally available to everyone through his books, recordings, and service. This relationship doesn’t replace the need for a diksha guru, or override the benefit that one can get from a living siksha guru. It simply underscores the reality that we are all connected to Çréla Prabhupäda. We are all guided by him and serve him (by serving in Iskcon), and all gurus represent him. And it is the service of all gurus in Iskcon is to help disciples come closer to Srila Prabhupada. In this regards, the GBC released the following statement in March of 2013. In traditional Indian society, the mother is accepted as the first guru. Thus, the child is taught to touch the mother’s feet when he first sees her in the morning. Even when Brahmananda Prabhu’s mother came to see Srila Prabhupada, Prabhupada instructed him to touch his mother’s feet. When one subject is studied for many years in India, it is not uncommon for the students to refer to their teacher as their guru. You even find asramas where “disciples” live with their guru to study subjects like music, drama, dance, wrestling, astrology or Sanskrit. Although the details of etiquette may differ from relationship to relationship, the fundamentals of the guru/disciple relationship in the material sphere are similar to the guru/disciple relationship in Krsna consciousness. The guru teaches and disciplines his students, and the students honor, respect, and follow their guru as a representative of God. In the Srimad Bhagavatam Krsna says, acarya mam vijaniyat, “You should know that I am the acarya (teacher).” This shloka is normally applied to one’s diksha guru, but when studied within the context of Vedic culture we find that many different persons represent “God” to their dependents. The King is accepted as naradeva, God’s representative, or manifestation, on earth. Sastra says that even a guest represents God and should be honored as one would honor God. And as mentioned, the mother (and father) and teacher represent God. The Ramayan even teaches that “the husband is the guru for the wife,” striaa bharta hi daivatam. We thus see that honoring another as a representative of God is not exclusive to an official guru/disciple relationship within a spiritual disciplic line. For this reason, the Bhagavatam states that one should not take any superior role unless one is able to deliver his dependents from the cycle of birth and death. In other words, if one takes a superior role, he is responsible to be a guru for his dependents. The reason that some may think that the formalities of the guru/disciple relationship in Krsna consciousness are unique is normally because we have been raised in a society which does not demonstrate traditional Vedic dynamics of such high regard for superiors. In ISKCON there has been – and still may be for some devotees – a misunderstanding of who is qualified to be a guru and what is his position. As mentioned earlier, in the broadest sense of the term, anyone helping you in Krsna consciousness is a guru. For example, while a person is giving class, he or she is your guru (teacher), and should therefore be respected as such. Of course, after class, such a person may take on a different role in relationship to you, but while giving class you honor him as representing Vyasadeva. In the early days of ISKCON, when Prabhupada stated that “by 1975 I want all of my disciples to become gurus,” what did Srila Prabhupada mean? His disciples were all young devotees, not highly elevated or mature in Krsna consciousness, so it seemed they were not ready to become diksha gurus so soon. One thing is certain: Prabhupada often spoke of his demise and how he was depending on his disciples to carry on the Krsna consciousness movement. Fundamental to this task was the instructing and initiating of disciples. One might logically think that he should have asked his godbrothers to fulfill that role, since it appears that his disciples did not have the qualifications of guru that we find in sastra, whereas many of his godbrothers were highly advanced and had been initiating disciples for decades. Prabhupada didn’t ask his godbrothers to be gurus in ISKCON; he asked his disciples. Also, Prabhupada didn’t say, “I want you to become guru, but it will take you many, many years before you become qualified and perhaps you will never become qualified”. One might question why he didn’t say this because the sastra defines a spiritual master as an unalloyed pure devotee, an uttama bhakti (topmost devotee), one who is cent per cent engaged in Krsna consciousness, has no propensity to criticize others, is always thinking how to save the fallen souls and never falls down. So naturally the question arises as to what Prabhupada meant when he told his young disciples that soon I want you all to become gurus. And such a question can be even more confusing in light of the fact that many of the gurus from 1977 were unable to strictly maintain their Krsna consciousness, although they were some of the most advanced devotees in the movement. To answer this question we must first understand how our sastras, and Srila Prabhupäda, define the term “pure devotee”. Prabhupäda once said, “Devotee is a big word. We are trying to be devotees.” So if we are trying to be devotees, and the qualification of a guru is to be a pure devotee, then a guru is rare, especially in ISKCON. It would thus seem that in 1977, few, if any, were qualified to be guru. But by “pure devotee” Prabhupada meant something different. According to sastra, the stage of madhyama-adhikare (the middle stage of bhakti) is the beginning stage of pure devotional service. Madhyama begins from the stage of ninoha, steadiness in bhakti. And steadiness in bhakti comes after unwanted material desires and tendencies are sufficiently neutralized (“anartha nivriti”). In this stage, a devotee’s bhakti is motivated only by the desire to please Krsna, not by jyana (the desire to be liberated, or to be free from suffering), or by karma (the desire for material gain). In the Nectar of Devotion, pure devotional service is defined as service free from jyana, karma, etc. This freedom takes place on the madhyama platform. Thus, a madhyama-adhikare is a pure devotee. (In a broader sense, madhyama is the beginning stage of uttama bhakti). As a side point, kanistha devotees (the beginning stages of bhakti) may act as madhyamas, but as long as they are kanistha they are not permanently situated on the madhyama platform. In other words, there is a difference between acting on the madhyama platform and being on the madhyama platform, just as there is a difference between experiencing bhava (emotion), and steadily being on the platform of bhava (the preliminary stage of love of God). One who is fixed on the madhyama stage is a pure devotee, and is engaged in pure devotional service (service not motivated by jyana, karma or other desires). Therefore, such a pure devotee can accept disciples. And Prabhupada encourages such devotees to accept disciples, if not diksha disciples, then siksha disciples. It is a mistake to believe that because someone is a diksha guru in ISKCON he is necessarily on a higher platform of bhakti than others. This misconception often stems from misunderstanding the definition of a pure devotee (as mentioned above), or thinking that because someone gives diksha, they must be special or have some special empowerment that others don’t have. How does one presently become a diksha guru in ISKCON? Presently in ISKCON one becomes a diksa guru as follows (this procedure may change in the future). A committee of those who know the candidate is formed, and they affirm that he is a loyal follower of Srila Prabhupada and ISKCON, has good sadhana, is qualified to properly guide others in Krsna consciousness, and is visibly on the madhyama adhikari platform. The GBC is then informed that the candidate has been recommended by a local committee. After six months, if less than three GBC members voice any concerns about this devotee accepting disciples, the prospective guru is informed that he can begin initiating disciples. If more than three GBC members have concerns about the candidate, these concerns are discussed with him. Subsequently, it is decided whether he can initiate or not, and if not, what he would need to do in order to be allowed to initiate. Concerns might be in regards to his ability to maintain the regulative principles, his loyalty to ISKCON, or about issues of integrity, but these concerns are not unique to a diksha guru. 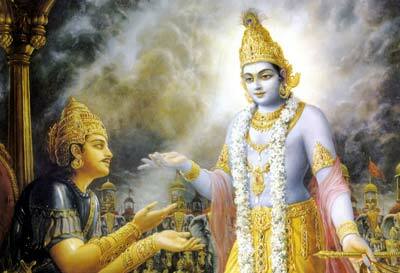 All who seek a leadership role in ISKCON are also subject to similar concerns. The reason I am describing the above procedure is to point out that once a devotee becomes a diksha guru, he doesn’t become different, more special, or elevated overnight to a super status of bhakti by some divine diksha guru potency. In other words, becoming a diksha guru within Iskcon is a service that some devotees feel inspired to take up. As such, there are devotees who are highly advanced in Krsna consciousness – sometimes more advanced than some dksha gurus – who do not feel they can best serve Srila Prabhupada by accepting diksha disciples. Being a diksha guru in ISKCON is a service to Srila Prabhupada and the society, a service that many of you reading this newsletter, believe it or not, may someday be either asked, or inspired, to take up. But long before you may officially take up this service, you will likely have opportunities to act as a guru to juniors. By mid-April 2013 I will receive permission to officially initiate disciples. When I receive the letter from the GBC secretary informing me that I may now give initiation, do I immediately have a special guru sakti descend on me? Will I become more special, unique, or qualified than those who don’t initiate? Will my level of Krsna consciousness get automatically upgraded? It would be nice to get an upgrade as a side benefit of taking up this service. Side benefits (mercy) are, of course, there for all of us when we please Srila Prabhupada, and if I can please Srila Prabhupada by this service, then I will get his mercy. And by this mercy I will further advance. And if I surrender to this service, as with any service, I will get empowerment to do it. But other than this, there is no unique spiritual power that only those who become diksha gurus receive. What is a siksha guru? To better understand the diksha guru and his role in ISKCON, we need to understand the position and role of the siksha guru as well. One thing I find of essential importance for the preservation and advancement of ISKCON is for devotees to recognize the importance of having a siksha guru(s) in their lives. There are several reasons why the position of the siksha guru is important to understand, some philosophical and some practical. So let’s look at the position of the siksha guru in general, and his position in Iskcon in particular. Srila Prabhupada often said the guru is one. He meant the guru is Krsna and all gurus represent Krsna by both delivering Krsna’s message and accepting service on behalf of Krsna. As mentioned above, in ISKCON there is a tendency among many to view the diksha guru as a special category of guru, and a special category of devotee. This can result in devotees looking only for a diksha guru, not understanding there are many siksha gurus available that can guide them and give them the kind of shelter a diksha guru gives. This applies both to those who are initiated and those who are not. Even for those who have not chosen a diksha guru, it is valuable, and in some cases essential, to receive guidance from a siksha guru, even if they are not planning to take diksha in the near future (or even in this lifetime). When the Nectar of Devotion talks about accepting a guru, it explains five ways in which one accepts a guru. Only one of those five relate to formal initiation. This means that the other four also apply to a siksha guru/disciple relationship whether or not one has a diksha guru. In Part Two (the next newsletter), we discuss some unhealthy guru/disciple dynamics I have observed over the years in ISKCON. Footnote: This follow section pertains to those who are not initiated and are not yet aspiring for a diksa guru (don’t feel ready to take diksha). Because it is helpful for those who are not ready for diksha to be guided by a siksha guru, I wanted to address the reasons one who is not initiated may not choose a guru to take shelter of. One feels unqualified to take diksha at the present time. One feels that he will never be ready to chant 16 rounds or follow the four regulative principles in this life. One has not found anyone that he can see as his diksha guru. One sees Prabhupäda as his guru and feels that accepting another guru would interfere with that relationship. One is not certain that anyone in ISKCON is qualified to be his guru. One’s diksha guru fell down and one cannot put faith in another guru. One doesn’t feel he can be a good disciple. There may be other reasons for not taking shelter of a siksha guru. Although these concerns are more common when looking for a diksha guru, they have less relevance when taking shelter of a siksha guru. Let’s go over the above list of reasons that might cause one to not look for a guru, and discuss these reasons in relation to the siksha guru. Not being qualified presently for diksha has no bearing on taking shelter of, and getting regular and intimate guidance from, a senior vaisnava or from having a deep spiritual relationship with this person. Plus, doing so increases one’s chances of becoming more quickly qualified for diksha. One feels that he will never be ready to chant 16 rounds and follow the four regulative principles in this life. Feeling one may not be qualified for diksha in this life should have no bearing on taking shelter of, and getting regular and intimate guidance from a senior vaisnava and having a deep spiritual relationship with him. Plus, the chances of someday becoming qualified for diksha will be greater if one takes shelter of a siksha guru. One has not found anyone that he can see as his guru. One doesn’t have to see the siksha guru within a strict formal guru/disciple context. The siksha relationship can be more informal and friendly, perhaps more on the lines of a coach, counselor, or mentor. Since faith cannot be artificially imposed, if the instructions given by the siksha guru are helping the devotee, faith will likely naturally evolve. If this happens, it is a strong guru/disciple relationship that will be the consequence. If the relationship doesn’t evolve to this point, it is not a problem. One is still getting the valuable guidance needed to advance. One should ask one’s siksha guru to help him deepen his relationship with Prabhupäda, and act as an intermediary between himself and Srila Prabhupada. One is not certain that anyone in Iskcon is qualified to be his/her guru (or even qualified to be anyone’s guru). To take guidance from a senior vaisnava, it is not necessary to approach him as a faithful and surrendered disciple. Learn from him and take guidance from him and see if this helps (you don’t have to blindly accept). In this way the relationship may naturally develop more intimately. If not, still take advantage of the wise guidance you get from him, and show gratitude for this by reciprocating in whatever ways possible. Sastra advises one to take shelter of a guru if one’s own guru falls down (it doesn’t specifically say to take re-initiation). Of course, many find it most natural to take shelter of Srila Prabhupada if their guru falls. Yet, for some there remains a vacuum because of a need for a living personal connection. Of course, faith cannot be forced, but connecting with a higher vaisnava and getting his guidance is always beneficial. One doesn’t feel they can be a good disciple. Generally, no vows are made to the siksha guru, so being able to chant 16 rounds or follow the four regulative principles doesn’t have to be a requirement for being a siksha disciple. The real requirement is to be sincere about advancing in Krsna consciousness. Whatever disqualification one feels they have, it is likely that one will improve more rapidly under the regular guidance of an advanced devotee. Since getting the association of advanced vaisnavas is one of the most essential principles of Krsna consciousness, both in the stage of sadhana, and on the liberated platform, we should cultivate this kind of association and develop close relationships with senior devotees, even before we may feel ready to be a worthy disciple. Rupa Goswami advises that we “take shelter of a guru,” but he doesn’t mean that one cannot take shelter unless one is thinking of taking diksha from that person. In fact, devotees sometimes have a more intimate relationship with their siksha guru than they do with their diksha guru.